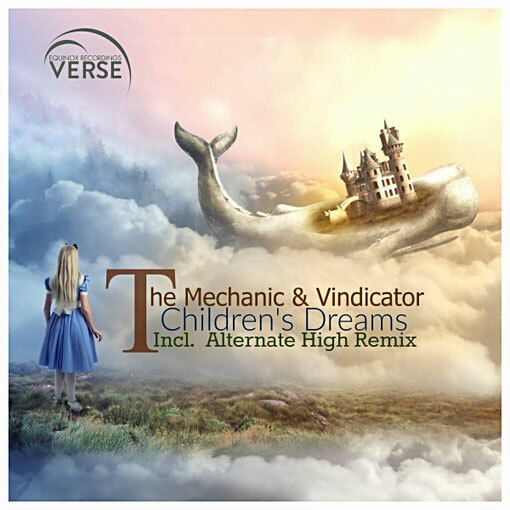 VERSE is excited to welcome back talented duo The Mechanic & Vindicator with their beautiful track Children's Dreams which is released once again with an outstanding remix from Alternate High . This has proved a really successful combination . The Mechanic & Vindicator once again produce a hauntingly beautiful melody for the Original mix. At 138 BPM it has a great driving intro which leads us to a heavenly majestic break with beautiful emotional strings and choir . At over 10 mins long this track is definitely of the - proper long track with decent break -genre that VERSE loves to release . Alternate High is a huge favourite here at VERSE and he brings a very different feel to his outstanding remix. Also at 138 BPM it has a powerful, energetic intro which leads us to an atmospheric break with a majestic classical feel with lovely haunting piano and ethereal strings and a truly powerful build .